If you’ve ever considered expanding your mobile DJ company but put it off because of the considerable amount of work involved, Joe Bunn just took away your last excuse. If you’re not a fan of making thorough checklists and writing an effective training manual, no problem. Joe did it for you and already spellchecked everything. Maybe you’re not sure how to find your next entertainer or what to say when they come in to your office? No problem, Joe filmed a recent interview with a prospective team member and gives you the play by play on how to do it yourself. 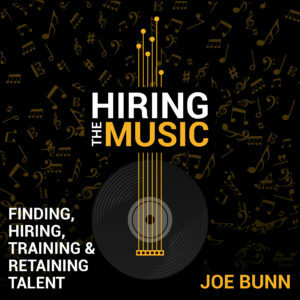 Perhaps, like most entrepreneurs I know on the cusp of making the leap into the multi-op world, you really want to get to the point where some local talent says to you… “Forget doing this on my own, I want to come work for you.” If so, then pick up a copy of Hiring the Music and let Joe show you how it’s done. – Hiring the Music will benefit established multi ops who are looking to improve staff morale and company culture. Joe actually explains and demonstrates the importance of having fun at team meetings while simultaneously showing off how long he can do a plank. – Hiring the Music will benefit single ops who are looking to improve their craft. 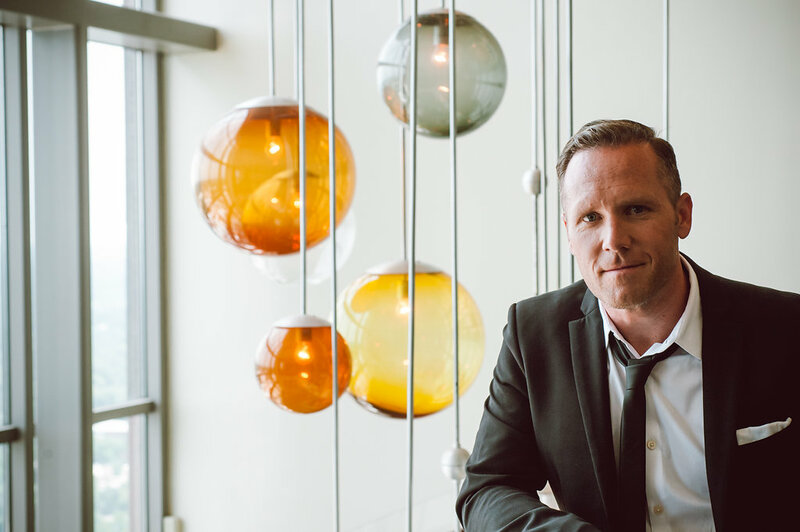 Joe’s content covers the simple ways you can earn more referrals and create better experiences for your clients. His material covers under-utilized applications of volume control and music programming which have personally made me a lot of money over the past 25 years. Hiring the Music is a ridiculous bargain at $99. The FAQ section with Joe speaking right to you at the end of the video is worth at least five times that much. Seriously. I’ve made a good living based on the knowledge that I’ve gained from flying across the country and taking really successful people out to lunch and picking their brain. Joe’s training video saves you a lot of time and money by answering almost all of the important questions that you should ask someone with his expert level of wisdom. Don’t let the way he says “again” (uh-ginn) fool you, Joe knows what’s up in the world of hustle and making things happen. He might be a self-professed “redneck from the south” but I assure you, he can teach you more about success than most college professors. 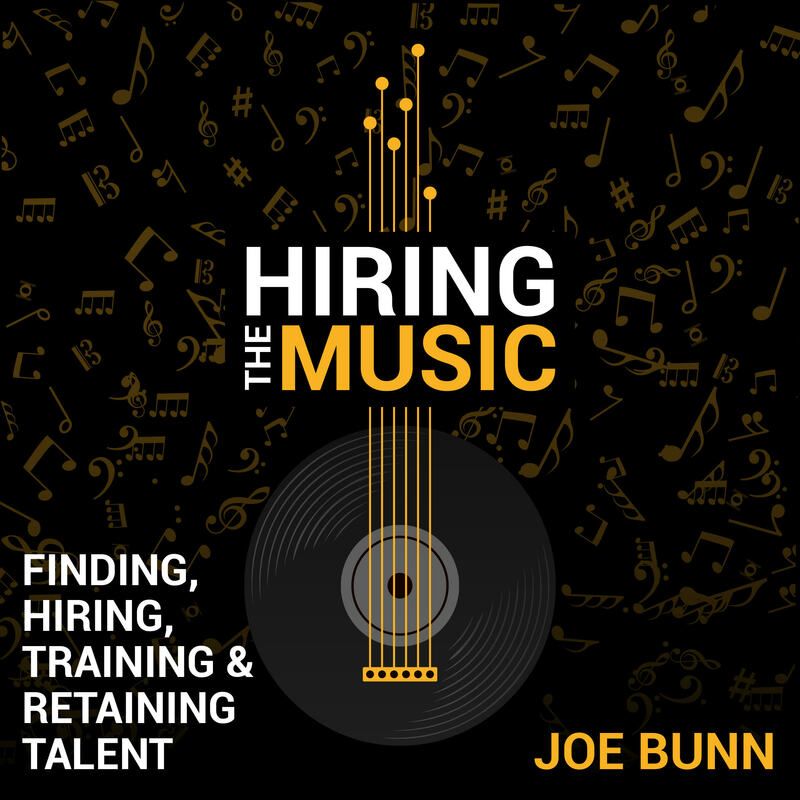 CLICK HERE to order your copy of Hiring the Music. By the way, if you like taking things to the next level like me, sign up for the next PHDJ Workshop with Joe and Mike Walter to continue your master class on DJ entrepreneurship. Be In the Moment at Your Event, But Have a Professional Capture It So You Can Relive the Memories. A Classy Way to Honor Your Mom or Dad at Your Wedding.